The adventure continues when Abby and Derick begin their second semester at Cragbridge Hall, the most prestigious secondary school in the world. But when Grandpa Cragbridge admits them to the Council of Keys - a secret group of people who have keys to travel back in time - strange things begin to happen. One by one, members are found unconscious and unable to wake, their keys stolen. Now Abby and Derick must scramble to figure out who is behind the attacks before they become the next victims, which would give their enemy the power to change the past forever. What did you love best about Cragbridge Hall, Book 2? Loved the continuation of the first book, with the characters and the plot development. He was agile in voices and believable even when portraying girls and women. Not one only, I was moved (impressed?) with several and did appreciate the easy way life lessons were conveyed. Pretty disjointed and confusing...but it was OK. I won't be going after any more of the books if there are any. A very fun listen. Imaginative, futuristic. Good versus Evil. Suspense and surprise. A lot of good stuff! I yelled out and for these great Heroes! I loved it! It was a great read and one that I highly recommend. These audio books are just amazing to listen to! I'm always completely engaged by the storytelling and the life that the narrator breathes into these characters! My son LOVES this series. We can hardly wait for the next book to come out! The Cragbridge Hall series is amazing! I have thoroughly enjoyed listening to the first two books and cannot wait for "The Impossible Race" to come out. Great sequel, hopefully more to come! 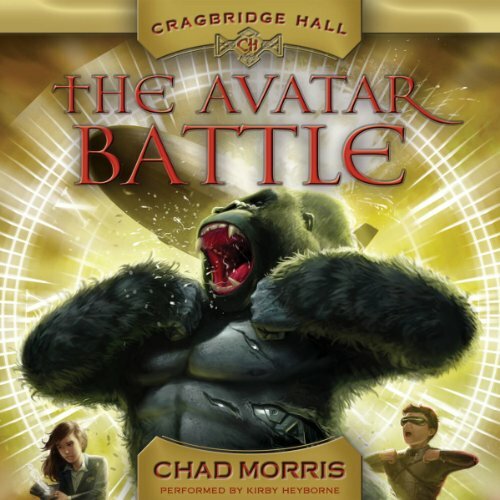 What made the experience of listening to Cragbridge Hall, Book 2 the most enjoyable? Kirby Heyborne's acting skills paired with Carol's humor make this a fun and enjoyable listen. The comedic elements were great, and new exciting inventions were nice, up to a point. Which character – as performed by Kirby Heyborne – was your favorite? As before, Carol's character is easily our favorite. Constantly throwing out lines that will make you laugh out loud, Carol is the perfect best friend in this book. Kirby gives a great tone and voice for Carol. Sometimes the inventions are a bit over the top, made to serve the story line rather than being realistic. But the story is distracting enough that I was able to suspend disbelief and just enjoy it. Kirby still yells loudly too frequently, although the volume levels seem to be better than the last book. Still very good though, and we are eagerly awaiting the next installment. Would you listen to Cragbridge Hall, Book 2 again? Why? Very entertaining and enjoyed it. I will listen to it again as soon as I get through some of my other books. Love the characters and their strengths. good and evil battles and I like the old grand father's strength. silly question, there is always the performance to look forward too. Just like going to a movie vs reading the book. I enjoy great YA books. This story is very enjoyable and like the title implies, it does play off of the Avatar movie. There is a mystery and the suspense is enjoyable. This is a great, lighthearted series. Carol drives me crazy, however in real life she is very close to a lot of middle school girl personalities.